Over decades, hundreds of American undergraduates spending a semester abroad have been introduced to Tibetan culture in India, Nepal, and China by Hubert Decleer. A number went on to become prominent scholars in the field at institutions such as Yale, Berkeley, and Georgetown, and as a tribute to him they have put together this collection of cutting-edge research in Himalayan studies, bringing together contributions of this new generation with those of senior researchers in the field. This new research on the religion and culture of the Himalayan Buddhist world spans a broad range of subjects, periods, and approaches, and the diversity and strength of the contributions ensures Himalayan Passages will be warmly welcomed by scholars, travelers, and Tibetan Buddhists alike. "Scholarly volumes in honor of the teachers we hold dear are meant to be labors of love. At their best, they are not only reflections of an exemplar's legacy but also illustrations of the creative possibilities that true mentorship and collaboration provides. This volume of essays in honor of Hubert Decleer succeeds as a collection of excellent academic work on Indian and Tibetan Buddhism as well as Himalayan and South Asian textual, historical, aesthetic, and social traditions associated with religious practice, broadly conceived. 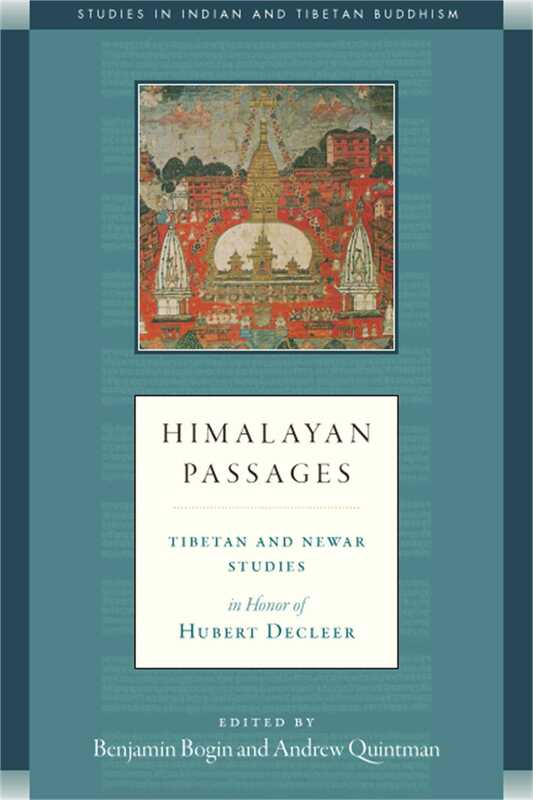 Himalayan Passages is also a narrative tapestry of the worlds Hubert has shared with and opened up for many generations of scholars past, present, and future. A remarkable achievement." "Reflecting the wide range of texts, traditions, and insights that Hubert DeCleer creatively pursued as a ground-breaking and original researcher, this volume dedicated to him is a gathering of leading scholars, with each chapter offering new and important insights on a broad array of Himalayan Buddhist traditions."